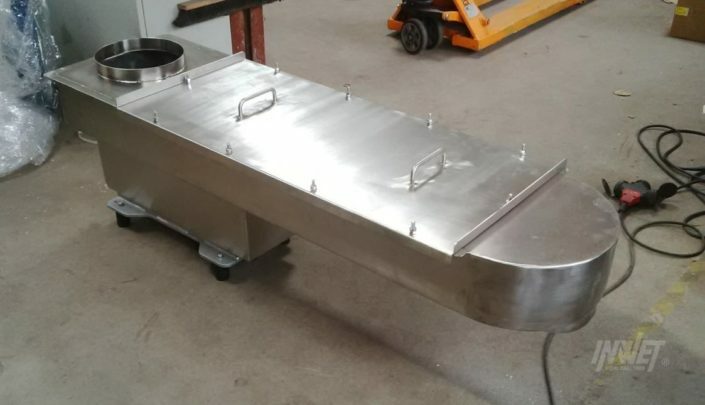 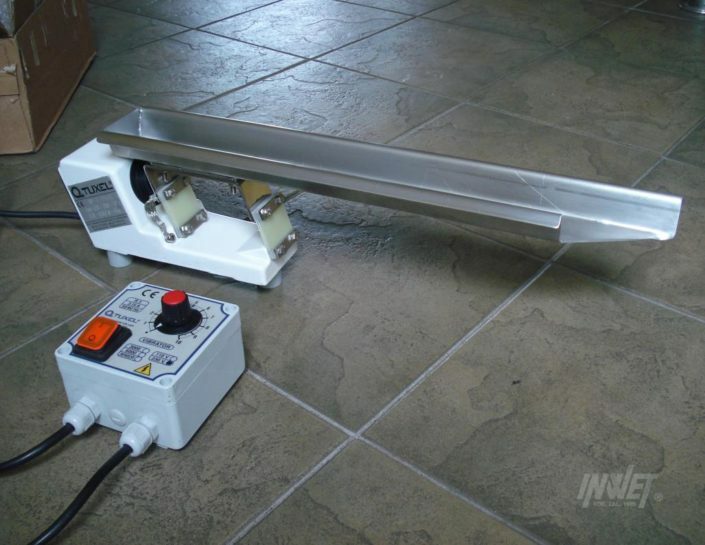 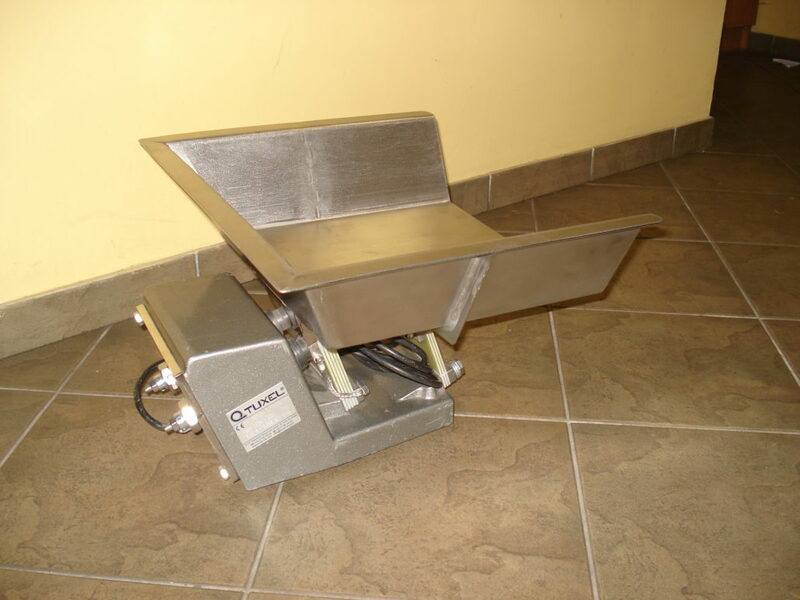 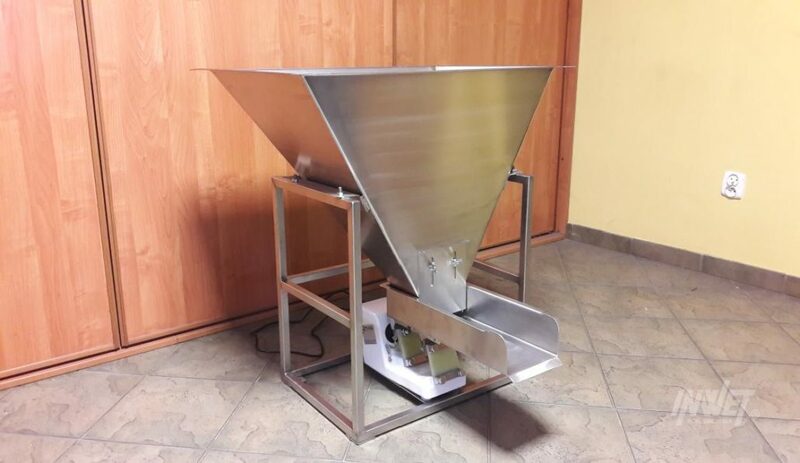 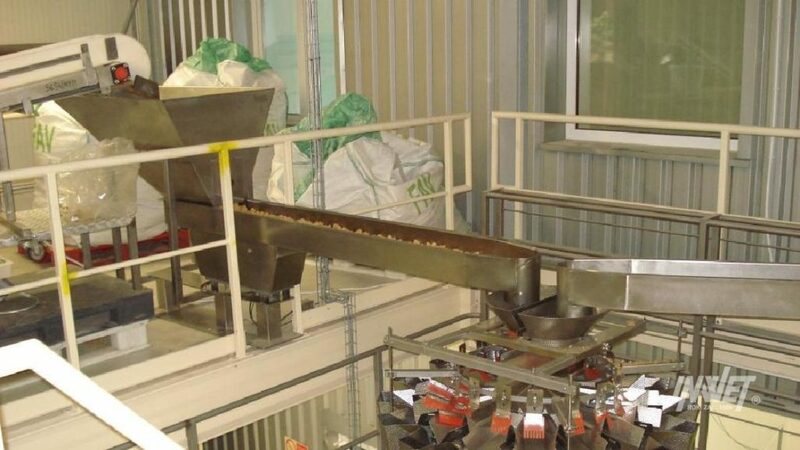 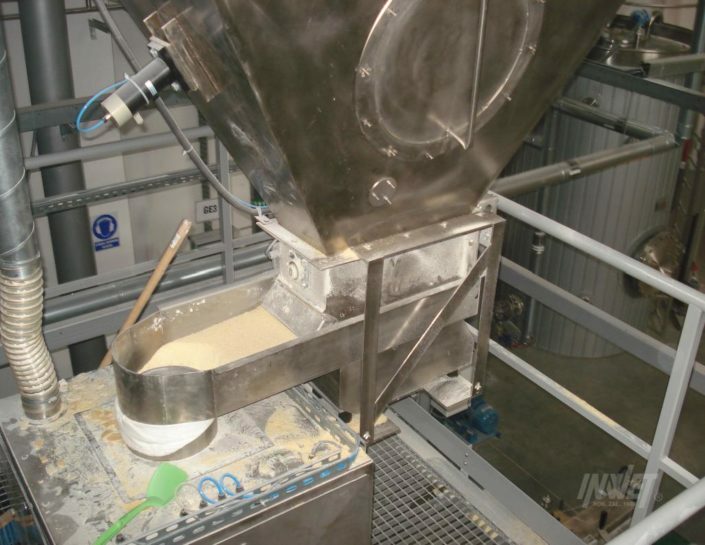 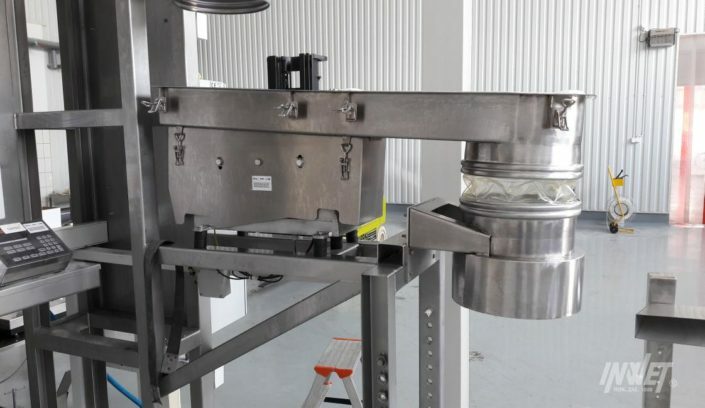 Vibrating dosing feeders are suitable for precise dosage and weighing various bulk materials. 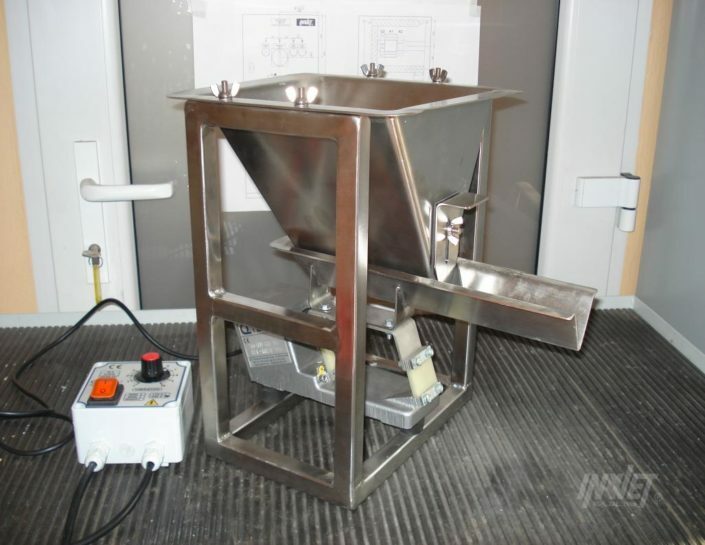 Used in food, chemical and processing industry. 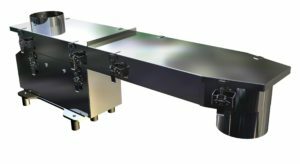 Feeders are equipped with electromagnetic drives which assisted by proper control systems allow to change speed fluently. Perfect to scaling systems, able to precise output of desired amount of product. 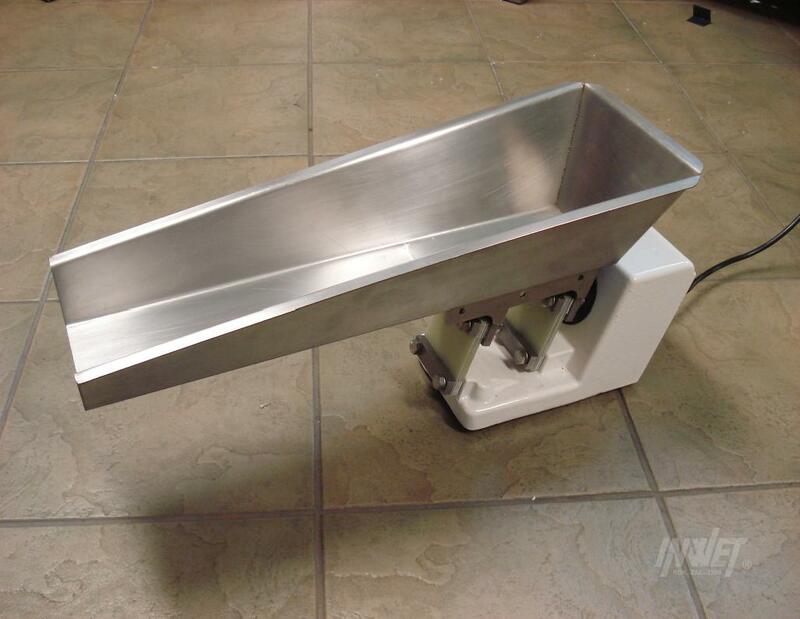 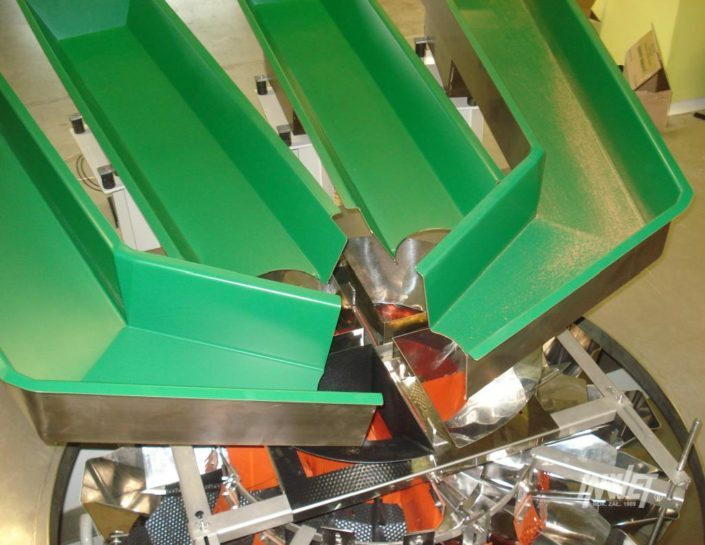 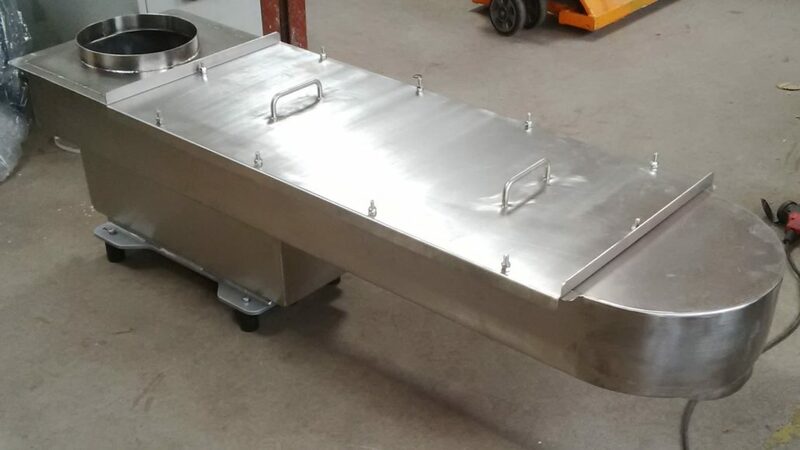 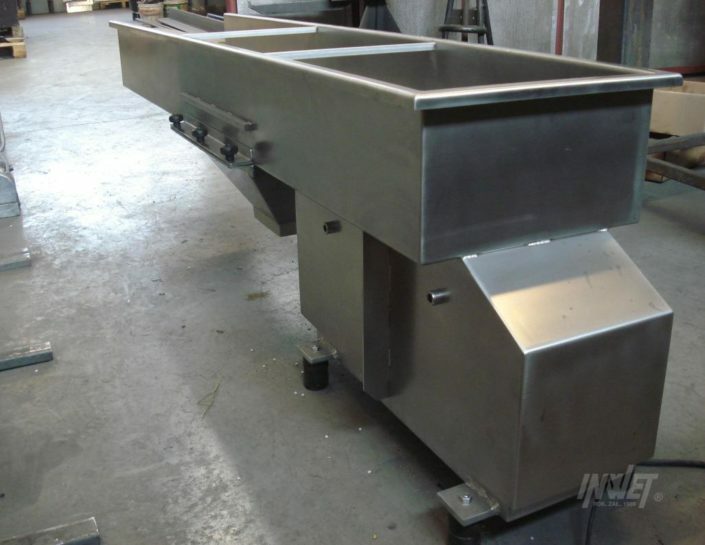 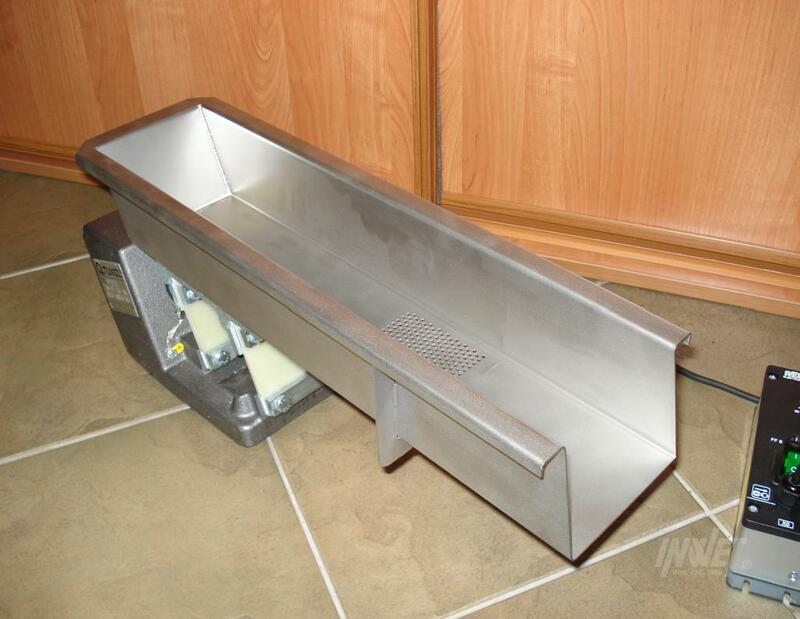 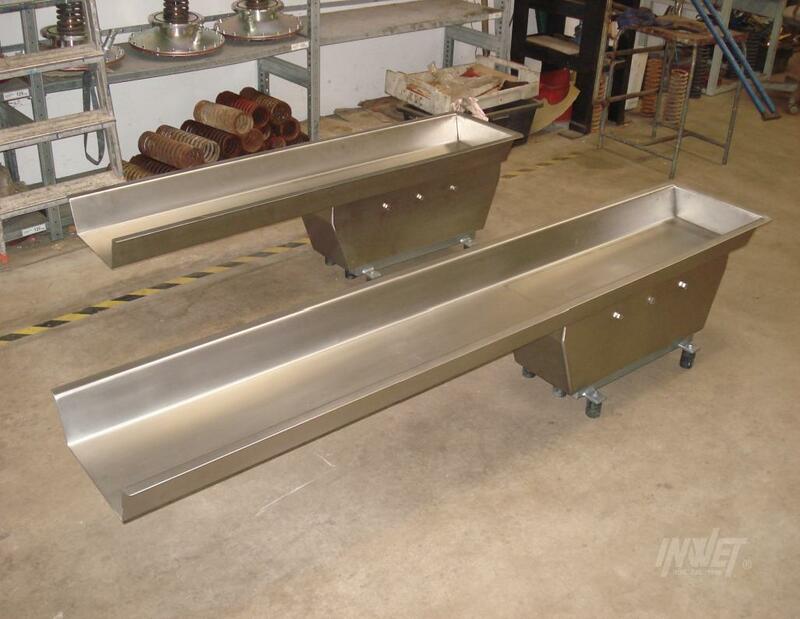 Feeder troughs can be made of coated carbon steel sheets or stainless steel sheets. 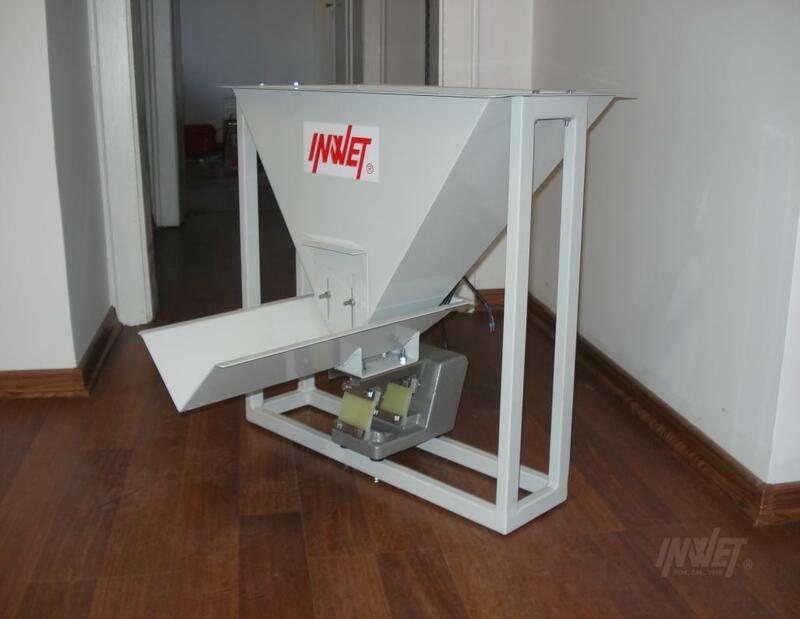 Small feeders with electromagnetic drive 50 Hz (trough length up to 1 m) are suitable for confectioning and dosage of bulk materials with set speed (control system allows for fluent or gradual regulation of efficiency). 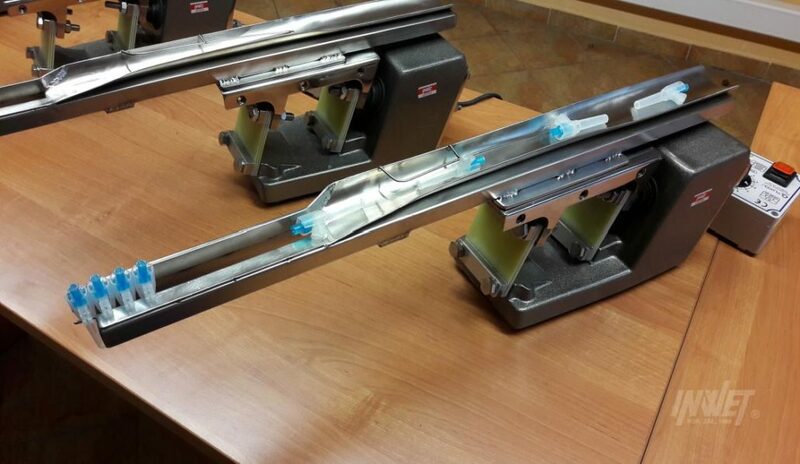 Perfectly cooperate with scaling systems. Below technical data are shown. 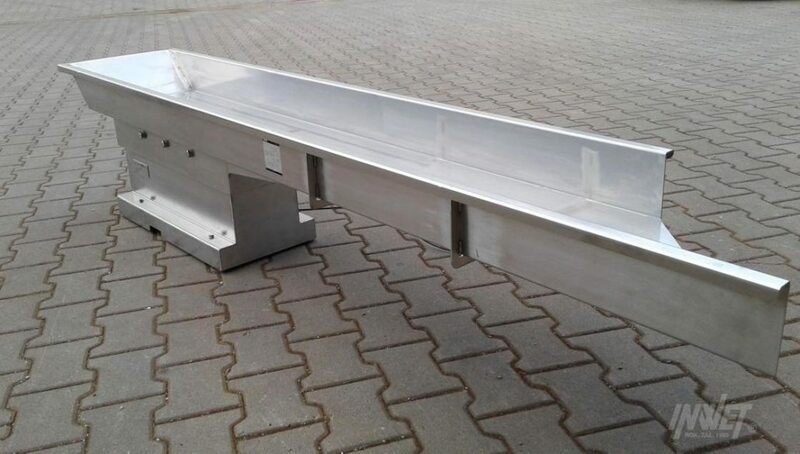 Feeders with electromagnetic drive, low frequency, (trough length up to 5 m). 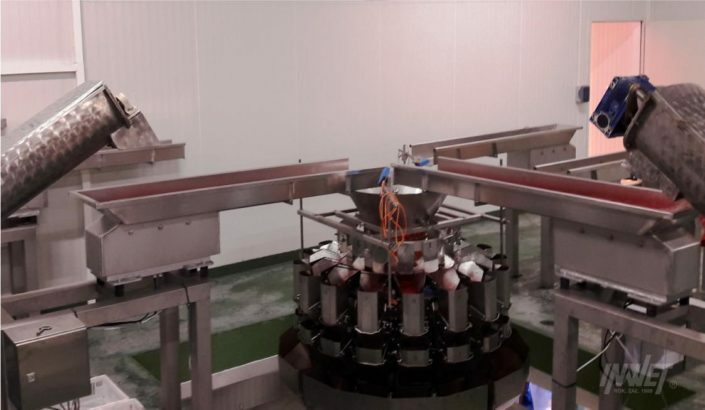 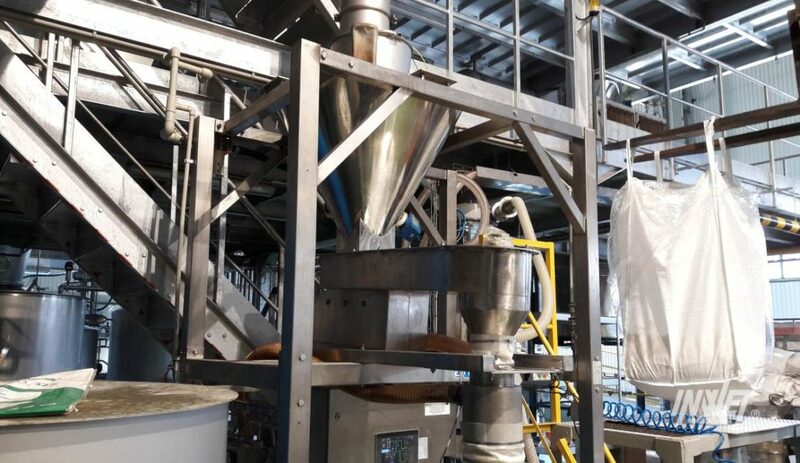 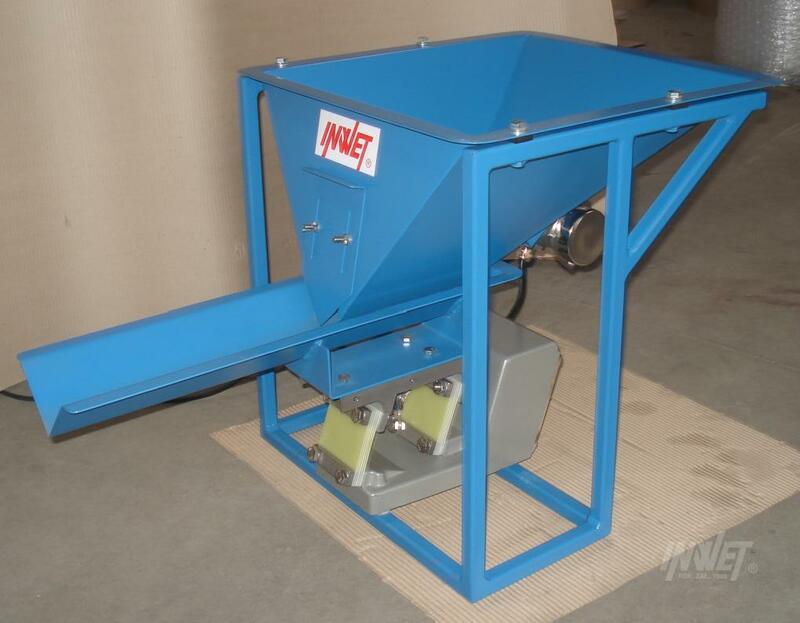 Suitable for feeding and dosage of bulk materials wirt high efficiency. 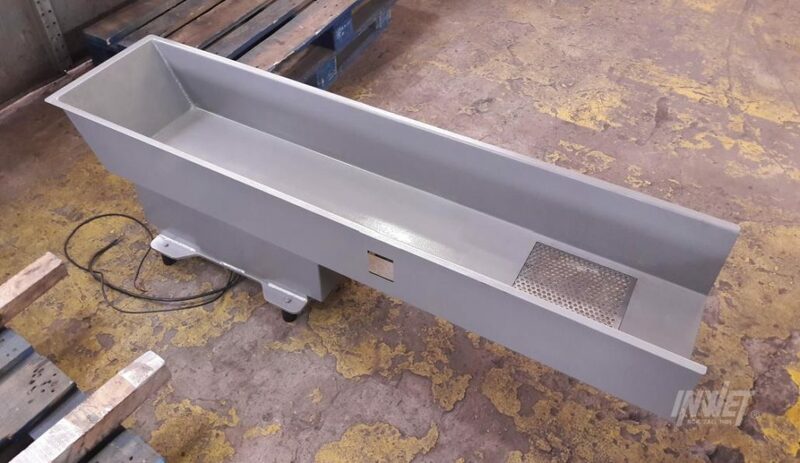 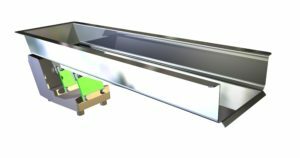 The trough is relatively narrow (efficiency up to 50 m3/h). 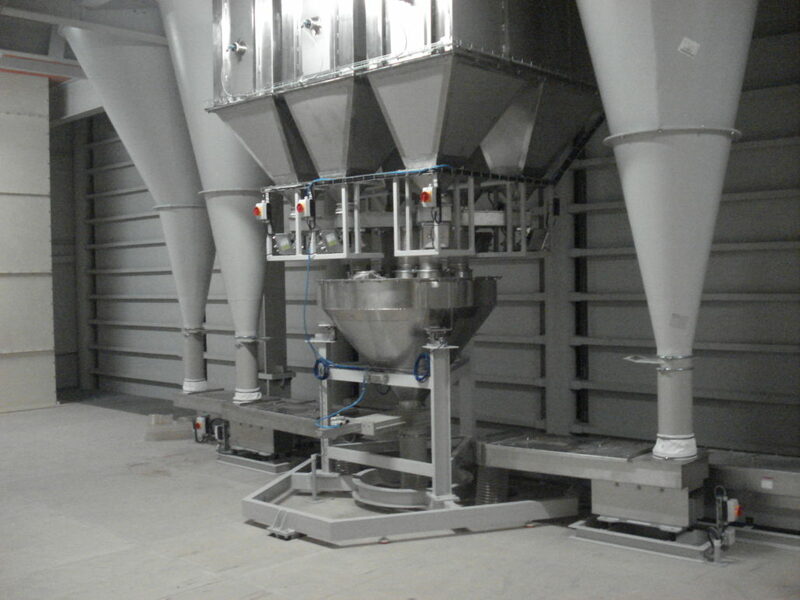 Control system allows for fluent or gradual regulation of efficiency. Cooperate with scaling systems of high precision. 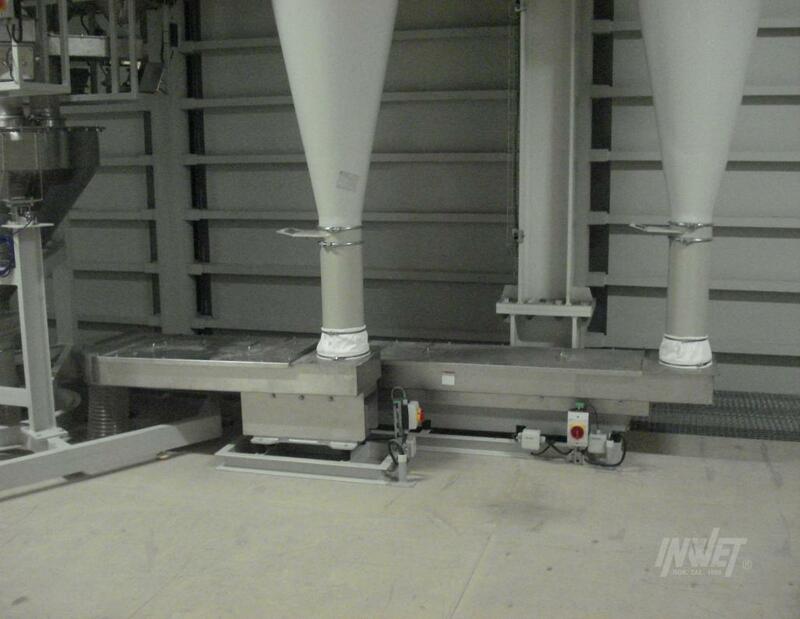 LEV/X and DV-type feeders with electromagnetic drive transporting material with simultaneous fractioning. 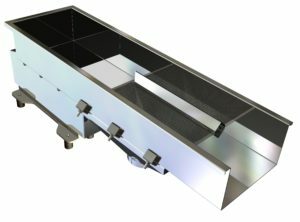 Installed with perforated screen – permanent or removable.